Plaid Punch: Brag About It!!! How would you like your own brag book with hardly doing any work? Then Brag About It! 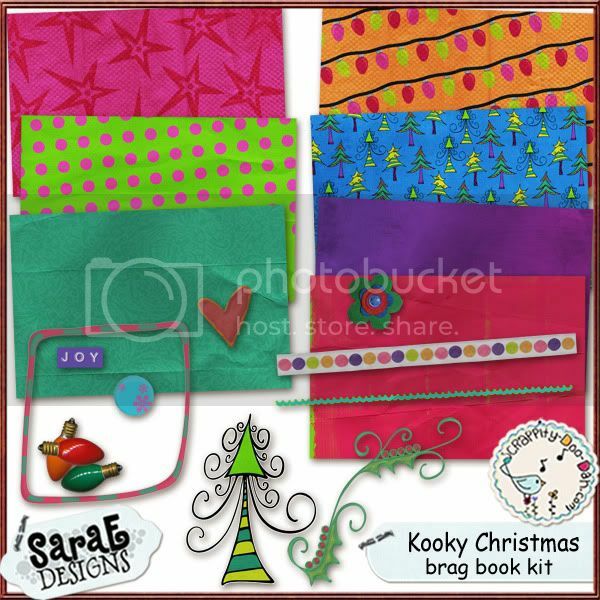 If you are interested, I will provide you with a brag book sized kit that coordinates with my newest kit, Kooky Christmas. That means each page is only 4x6 and all elements are sized to fit the pages. You are more than welcome to use the provided brag book kit and/or Kooky Christmas from my store, but you can only use items from these kits to make your brag book page. If you accept this challenge, please reply here by January 14th to let me know that you are interested. By the 15th I will PM each person with the link to this brag book kit. (Please make sure you have it so you receive an auto e-mail update with each PM.) You will have until January 27th to make one (and only one) 4x6 page. Please save as a PNG so photos can be "slid" under that layer. If you have any questions or need assistance with your page, please let me know. Mamapedia.com - the wisdom of moms! i heart faces - week 3 - We are Family! Today's Save:$7 for $14 worth of cell phone accessories from CellPig.com, plus free shipping!